Here is the list of the hotels near Vaux-Saules. Book your hotel near Vaux-Saules today, Tuesday 14 May for the best price, reservation and cancellation free of charge thanks to our partner Booking.com, leader in on-line hotels reservation. Below here is the list the 50 closest hotels of Vaux-Saules, sortable according your criteria. You will find the position of these accommodations on the Vaux-Saules hotels map. This Logis Hotel is located in St Seine L’Abbaye, 25 km north west of Dijon. It offers free Wi-Fi access and a garden with a heated outdoor swimming pool and terrace. Guest rooms at Hotel de la Poste have an LCD TV and a work desk. Some offer a view of the village or garden, and each has a private bathroom with free toiletries. The Logis Poste’s restaurant serves a continental breakfast and regional cuisine. The hotel also provides a bar and a games area with table tennis and petanque. Free private parking is available on site at Hotel de la Poste Logis. It is a 30-minute drive from the Chateau de Bussy Rabutin and Dijon SNCF Train Station. Holiday Home Shangri-la is set in Poncey-sur-lʼIgnon. This holiday home offers a garden. Providing access to a terrace, the holiday home consists of 4 bedrooms. A dishwasher, an oven and a microwave can be found in the kitchen. If you would like to discover the area, cycling is possible in the surroundings. Dijon is 36 km from the holiday home, while Semur-en-Auxois is 43 km away. The nearest airport is Dole - Jura Airport, 88 km from Shangri St Seine L'Abbaye. Ferienhaus Bligny-le-Sec 100S is located in Bligny-le-Sec. Guests may enjoy free WiFi. The holiday home includes 2 bedrooms and a kitchen with a dishwasher and an oven. A TV is available. Dijon is 31 km from the holiday home, while Semur-en-Auxois is 43 km from the property. The nearest airport is Dole - Jura Airport, 83 km from Ferienhaus Bligny-le-Sec 100S. Situated in Frénois, La Cabane du Pont de l'Ignon offers accommodation with a terrace and free WiFi. The accommodation is 39 km from Dijon. With direct access to a balcony, the bed and breakfast consists of a fully equipped kitchenette and a flat-screen TV. A continental breakfast can be enjoyed at the property. Guests at the bed and breakfast can enjoy fishing nearby, or make the most of the garden. Châteauneuf is 48 km from La Cabane du Pont de l'Ignon. The nearest airport is Dole - Jura Airport, 90 km from the accommodation. Chambres D'hôtes La Belle Epoque is set in Thenissey. Complimentary WiFi is provided. There is a private bathroom with shower in all units, along with free toiletries and a hair dryer. A continental breakfast is available every morning at the bed and breakfast. Dijon is 46 km from Chambres D'hôtes La Belle Epoque, while Semur-en-Auxois is 29 km away. Dole - Jura Airport is 98 km from the property. Bed and Breakfast Messigny-et-Vantoux Preferred hotel ! Featuring free WiFi, B&B Aux portes du Suzon offers accommodation in Messigny-et-Vantoux, 10 km from Dijon. Beaune is 45 km from B&B Aux portes du Suzon, while Saint-Michel is 40 km from the property. Dole - Jura Airport is 52 km away. Situated in Barain, Sarl La Barinoise offers accommodation with a flat-screen TV. Free WiFi is offered. All units come with an oven, microwave, a coffee machine, a toaster and kettle. There is a fully equipped private bathroom with shower and a hair dryer. The holiday home offers a children's playground. Guests at Sarl La Barinoise can enjoy cycling nearby, or benefit from the sun terrace. Dijon is 43 km from the accommodation, while Semur-en-Auxois is 32 km away. The nearest airport is Dole - Jura Airport, 95 km from Sarl La Barinoise. 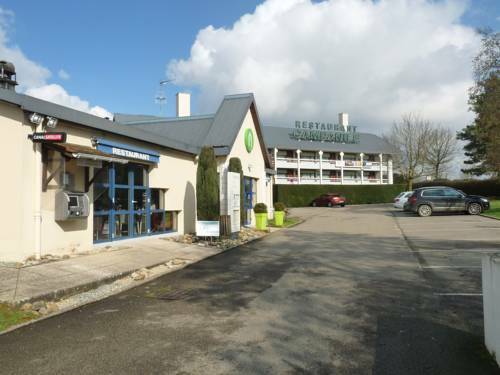 Guest accommodation Fleurey-sur-Ouche Preferred hotel ! Set in Fleurey-sur-Ouche, Au colombier offers free bikes, a garden and a barbecue. This holiday home also features a restaurant. This holiday home features a living room and a fully equipped kitchen with a dishwasher. A flat-screen TV is provided. Speaking German, English and French, staff are willing to help at any time of the day at the reception. The holiday home offers a terrace. If you would like to discover the area, hiking is possible in the surroundings. Dijon is 19 km from Au colombier, while Nuits-Saint-Georges is 32 km away. Dole - Jura Airport is 71 km from the property. Offering a seasonal swimming pool, Ying et Yang B&B offers a studio in Messigny-et-Vantoux. It offers free WiFi access, a wooden terrace and a studio with a flat-screen TV. The heated studio has a private entrance and includes a private bathroom with a hairdryer and free toiletries. A microwave, a fridge and facilities for making coffee and tea are available in the studio’s kitchenette. Guests are invited to enjoy a daily breakfast in the comfort of the studio. This property is 10 km from Dijon and 19 km from the A311 motorway, which leads directly to Beaune. Free private parking is available on site. La Roche Marguerot is a holiday home situated in Hauteroche, 30 km from Grosbois Lake. The property is 32 km from the A26 motorway and boasts views of the garden. Free private parking is available on site. There is a seating area, a dining area and a kitchen. La Roche Marguerot features free WiFi. There is also a wood stove in the living room. You can play tennis at the property, and the area is popular for horse riding, climbing and cycling. Flavigny-sur-Ozerain is 7 km from la Roche Marguerot, while Fontenay Abbey is 26 km away. You can engage in various activities, such as fishing and hiking. Dole - Jura Airport is 108 km from the property. Chambres d’Hôtes du Mont Saint Laurent is located in Mesmont, a 20-minute drive from Dijon and 12 km from Commarin. It offers a large garden and a terrace with a view of the countryside. The geust rooms at Chambres d’Hôtes du Mont Saint Lauren include a seating area and a wardrobe. They each have a private bathroom with a hairdryer and free toiletries. A continental breakfast can be enjoyed by the fireplace in the breakfast area in the morning. Free newspapers are available and free private parking is available on site. Beaune is 57 km from the B&B and Pouilly-en-Auxois is 19 km away. The property is 19 km from exit 24 of the A6 motorway and 23 km from Château de Chailly Golf Club. Set in Écorsain in the Burgundy Region, 40 km from Dijon, Les Allumettes d'Ecorsaint boasts a sun terrace and views of the mountain. The bed and breakfast has a hot tub and sauna. Free private parking is available on site. All rooms are fitted with a flat-screen TV. Extras include free toiletries and a hairdryer. You will find a gift shop at the property. Guests can enjoy homemade meals on site, upon prior request. An array of activities are offered in the area, such as cycling and hiking. The bed and breakfast also offers free use of bicycles. Avallon is 49 km from Les Allumettes d'Ecorsaint, while Nuits-Saint-Georges is 49 km away. Dole - Jura Airport is 82 km from the property. Boasting accommodation with a private pool, The Farmhouse Villa is located in Hauteroche. Guests have a private terrace. The villa has 2 bedrooms, a TV with satellite channels and a fully equipped kitchen that provides guests with a dishwasher, an oven, a washing machine, a microwave and a toaster. Semur-en-Auxois is 27 km from the villa. Dole - Jura Airport is 107 km away. Guest accommodation Hauteroche Preferred hotel ! Set in Hauteroche, L'Écurie Villa features accommodation with a private pool. Guests have access to free WiFi. Featuring garden views, the holiday home is composed of 4 bedrooms and 3 bathrooms with a hair dryer. There is a dining area and a kitchen equipped with a dishwasher. Semur-en-Auxois is 27 km from the holiday home. The nearest airport is Dole - Jura Airport, 107 km from the property. Set in Hauteroche in the Burgundy region, Pickwicks Villa has a garden. This holiday home features free WiFi, a seasonal outdoor swimming pool, as well as a tennis court. The holiday home consists of 1 bedroom, a living room, a fully equipped kitchen with an oven and a coffee machine, and 1 bathroom with a bath. A flat-screen TV with satellite channels and a DVD player are provided. The holiday home offers a barbecue. Guests can also relax on the sun terrace. Semur-en-Auxois is 27 km from Pickwicks Villa. The nearest airport is Dole - Jura Airport, 107 km from the accommodation. La Musarde is situated in Hauteville-lès-Dijon, just 8 km from the centre of Dijon, and offers en suite rooms with free Wi-Fi. Guests are invited to relax in the garden or enjoy a drink on the terrace. La Musarde proposes guest rooms and an apartment with a flat-screen TV and a view on the garden. They all feature parquet flooring, a telephone and a work desk. French cuisine is served upon prior reservation in the on-site restaurant, in the dining room or on the terrace during warm weather. Free public parking is available at La Musarde. Dijon-Ville Train Station is 7 km from the hotel and Dijon Bourgogne Airport is reached by car in 25 minutes. The property is 19 km from exit 4 of the A31 motorway and a 45-minute drive from Beaune. Located in the medieval village of Salives, this B&B offers a continental breakfast, a living room with a fireplace and a bar. Wi-Fi is provided in the entire property and free public parking is possible nearby. With wooden floors, the guest rooms at Le Puits Fortifié include a private bathroom with hairdryer and slippers. Lunches and dinners are available upon reservation. Several hiking trails leave can be found in the surroundings. You can also play golf 6 km from Le Puits Fortifié. The property is accessible via the A31 motorway, which is a 35-minute drive away. Featuring a garden and a restaurant, Golf de La Chassagne is located in Mâlain. Among the various facilities of this property are a terrace and a bar. The room is fitted with a balcony with a garden view. The guest room in the guest house is equipped with a flat-screen TV, a private bathroom and a microwave. Breakfast can be served on a morning on request. Hiking is among the activities that guests can enjoy near Golf de La Chassagne. Dijon is 22 km from the accommodation, while Nuits-Saint-Georges is 30 km from the property. Dole - Jura Airport is 75 km away. Located in Baigneux-les-Juifs in the Burgundy region, Lucy's Hideaway features a garden. Guests staying at this holiday home have access to a fully equipped kitchen. The holiday home comes with a satellite TV and 1 bedroom. The holiday home offers a terrace. A bicycle rental service is available at this property. Semur-en-Auxois is 31 km from Lucy's Hideaway. The nearest airport is Dole - Jura Airport, 103 km from the accommodation. T2 de charme au centre du village is located in Plombières-lès-Dijon. Guests staying at this apartment have access to a fully equipped kitchenette. The apartment features a flat-screen TV. A bicycle rental service is available at this property. Dijon is 7 km from the apartment, while Beaune is 47 km away. Dole - Jura Airport is 60 km from the property. Located in Plombières-lès-Dijon in the Burgundy region, Appartement Charmant Bord Du Canal features a terrace. This property offers access to free WiFi. This apartment is fitted with 1 bedroom, a TV, and a kitchen with a microwave and a fridge. Dijon is 18 km from the apartment. The nearest airport is Dole - Jura Airport, 70 km from the property. Situated in Épagny in the Burgundy region, JnSpa21 has a terrace. Featuring garden views, this apartment also comes with free WiFi. The property includes a living room with a flat-screen TV. The kitchen is fitted with an oven, a microwave and a fridge, as well as coffee machine. Dijon is 16 km from the apartment, while Saint-Michel is 39 km away. Dole - Jura Airport is 63 km from the property. Guest accommodation Ahuy Preferred hotel ! Holiday home Aqueducienne is located in Ahuy, just a 10-minute drive from the centre of Dijon. Free WiFi access is available in this holiday home and upon reservation guests can benefit from discounts for beauty treatments in a spa centre, located just 2 km away. The air-conditioned accommodation will provide you with a TV and a seating area. There is a full a kitchenette with a dishwasher and a microwave. Featuring a shower, private bathrooms also come with a bath or shower and a hairdryer. Other facilities offered at the property include a shared lounge. An array of activities can be enjoyed on site or in the surroundings, including cycling and hiking. The property offers free parking. Hotel Dijon Preferred hotel ! Located near the countryside, this contemporary-style hotel is 3 km north of Dijon and 4 km from Dijon-Ville Station. It offers bright en suite accommodation and a design lounge room. A full buffet breakfast is provided every morning at Hotel The Originals Dijon Ouest Castel Burgond. All of the rooms are equipped with cable TV, a desk, a telephone and a radio. Each private bathroom has a bathtub or a shower. Hotel The Originals Dijon Ouest Castel Burgond also has a bar and provides daily newspapers. Front desk is open 24 hours and free WiFi access is available in all public areas. Hotel The Originals Dijon Ouest Castel Burgond is just 12 km Dijon-Longvic Airport and 4 km from the A38 motorway. Free private parking is possible on site. Situated in an enchanting setting, on the hills of a 13th century village, the hotel overlooks Lake Kir and the town of Dijon. Surrounded by a delightful park planted with flowers and trees, Hôtel La Bonbonnière features 20 fully-equipped and quiet rooms accessible by lift. Unwind in a comfortable and extremely peaceful environment only a few minutes away from Dijon’s city centre. Free private parking is possible on site, subject to availability. Appart'City Dijon - Toison D'or is located 10 minutes from the centre of Dijon in the Toison d’Or Technological Park. It offers 2 and 3-room apartment suites with free WiFi internet access. These apartments have flat-screen TV, a corner work area, a dining area and a fitted kitchen. They also have a living room area with a sofa bed. It can accommodate 3 guests minimum. Breakfast is composed of various breads, including gluten-free bread, pastries, fresh and hot beverages. Fresh fruit and fruit salad, as well as cheeses and yogurts are also provided. A restaurant located nearby the residence is also opened from Monday to Saturday night. Free wired internet access is available at a reduced rate. Appart'City Dijon - Toison D'or is a 5-minute drive from the A31 and A39 motorway. The Toison d'Or shopping centre is situated nearby the property. Hotel Villeferry Preferred hotel ! Nestled in the hills of Auxois, Le Verger sous les Vignes is a charming country-style establishment made up of winemaker's houses grouped around an old orchard. The comfortable accommodation provides you with an old world style and modern amenities. Rooms are equipped with modern en suite facilities and free Wi-Fi internet access. All of the guest houses have their own living room, a terrace, a stepped or Mediterranean style garden that offers an intimate environment. A shared kitchen is also available on request. The common spaces, such as the dining room, the lounge and the meeting rooms offer a pleasant view of the lovely, surrounding countryside. For a relaxation alternative to the lovely, verdant area surrounding the hotel, enjoy access to the hotels sauna and a hot tub. The Campanile Dijon Nord Toison D'or is situated north of Dijon, between the Toison d’Or Business Park and Toison d'Or Shopping Centre. It is also a 10-minute drive from the A31/A39 motorways and Norges Golf Course. The hotel rooms offer a flat-screen TV with satellite channels, an electric kettle and a private bathroom with a hairdryer. A buffet breakfast including hot drinks and pastries is served every morning at Campanile Dijon Nord - Toison D'or. French cuisine can be enjoyed in the on-site restaurant. The property is a 13-minute drive from Dijon. Free WiFi access and free private parking are available on site. Located 2.8 km from Saint-Philibert Church in Dijon, Mesmin offers accommodation with a kitchen. The property is 3.2 km from Dijon Congrexpo and 6 km from Zénith de Dijon. The apartment comes with a cable flat-screen TV and 2 bedrooms. The apartment also offers 1 bathroom with a bath. Arquebuse Botanic Gardens is 2.3 km from the apartment. The nearest airport is Dole - Jura Airport, 52 km from Mesmin. Appartement Le Clos De Pouilly offers accommodation in Dijon, 2 km from Valmy Health Center. Appartement Le Clos De Pouilly boasts views of the garden and is 1 km from Zénith de Dijon. Free WiFi is available throughout the property. A dishwasher, an oven and a microwave can be found in the kitchen. Towels and bed linen are featured at Appartement Le Clos De Pouilly. Other facilities at Appartement Le Clos De Pouilly include a sun terrace. Dijon Congrexpo is 2.7 km from Appartement Le Clos De Pouilly, while Saint-Philibert Church is 3.6 km away. Dole - Jura Airport is 45 km from the property. A parking space is available int the private and secured car park inside the residence. Offering a spa with sauna, hammam and fitness centre, the Holiday Inn is located just outside Dijon’s historic city centre, in the heart of the Toison d’Or Technological Park. It offers air-conditioned accommodation with free WiFi access. A flat-screen TV with satellite channels is provided in each spacious room. The rooms have a contemporary décor with colour accents. Private bathrooms feature Starck bathroom fixtures. A buffet breakfast is served daily and the restaurant, Gallery 412, serves traditional and modern French cuisine. The on-site bar, Light Bar, serves a large selection of wines. Holiday Inn Dijon is a 15-minute tramway ride from the Dijon Train Station and a 5-minute walk from Zenith de Dijon. Free parking is available on site and the hotel is a 2-minute drive from the highway. With 180 shops, The Centre La Toison d'Or shopping centre is a 1-minute walk away. Offering free WiFi and city views, Studio À Dijon is an accommodation set in Dijon. The apartment is 3.3 km from Saint-Philibert Church. The apartment features 1 separate bedroom, 1 bathroom, a fully equipped kitchenette with a dining area, and a flat-screen TV. Dijon Congrexpo is 5 km from Studio À Dijon, while Zénith de Dijon is 9 km from the property. The nearest airport is Dole - Jura Airport, 52 km from the property. Beau F3 rénové: Victor Hugo is set in Dijon, 1.9 km from Saint-Philibert Church, 2.5 km from Dijon Congrexpo, and 6 km from Zénith de Dijon. This apartment provides accommodation with free WiFi. The apartment is composed of 2 bedrooms, a living room with dining area, a fully equipped kitchen and 1 bathroom. A flat-screen TV is provided. Arquebuse Botanic Gardens is 1.4 km from the apartment. The nearest airport is Dole - Jura Airport, 51 km from the property. Featuring a garden as well as a terrace, B&B des Marcs d'Or is located in Dijon, within 3.2 km of Saint-Philibert Church and 5 km of Dijon Congrexpo. Free WiFi is featured. A continental breakfast can be enjoyed at the property. Zénith de Dijon is 9 km from the bed and breakfast, while Arquebuse Botanic Gardens is 3 km away. The nearest airport is Dole - Jura Airport, 52 km from B&B des Marcs d'Or. A spa & wellness centre is available in-house at Suite and Spa, which is located in Dijon, just 1.7 km away from Saint-Philibert Church and 1.2 km away from Arquebuse Botanic Gardens. The accommodation is 2.3 km from the Dijon Congrexpo and features free WiFi. This apartment will provide guests with 1 bedroom, a flat-screen TV, air conditioning and a DVD player. Offering a terrace, this apartment also includes a kitchen and 1 bathroom. Continental and Italian breakfast options are available daily at the apartment. A bicycle rental service is available at this property. Zénith de Dijon is 6 km from Suite and Spa. The nearest airport is Dole - Jura Airport, 51 km from the property. Appart' Moissenet offers accommodation in Dijon, 900 metres from Saint-Philibert Church. Appart' Moissenet boasts views of the city and is 1.8 km from Dijon Congrexpo. Free private parking is available on site. Dijon Train Station is 600 metres away. The apartment features a fully equipped kitchen with an oven, fridge and tea and coffee making facilities. The living room comes with a sofa bed and a dining table. A dishwasher and a washing machine are at guests' disposal. Please note that the apartment is located on the 3rd floor with no lift. Many restaurants and shops can be found in the surroundings. Zénith de Dijon is 3.8 km from Appart' Moissenet, while Arquebuse Botanic Gardens is 800 metres away. The nearest airport is Dole - Jura Airport, 44 km from the property. Set a 12-minute walk from Saint-Philibert Church, luxury dijon is an apartment with a kitchen in Dijon, 850 metres from the train station. This self-catered apartment boasts a garden. The apartment is fitted with a satellite flat-screen TV. Free private parking is available at the apartment. Dijon Congrexpo is 2.4 km from luxury dijon, while Zénith de Dijon is 5 km away. The nearest airport is Dole - Jura Airport, 44 km from the accommodation. Set in Dijon, 2 km from Dijon Congrexpo and 3.3 km from Saint-Philibert Church, SweetHome Dijon - Drapeau offers free WiFi. The apartment is 3.5 km from Zénith de Dijon. The apartment has 1 bedroom, a living room with a flat-screen TV, an equipped kitchen, and 1 bathroom with a shower. Arquebuse Botanic Gardens is 2.8 km from SweetHome Dijon - Drapeau. The nearest airport is Dole - Jura Airport, 52 km from the property. Featuring free WiFi, The Hotel Thurot is conveniently located 300 metres from Dijon city centre and the train station. This 2-star hotel offers comfortable air-conditioned rooms fully equipped with a private bathroom, a telephone and a flat-screen TV with Canal + and beIN Sports. A buffet breakfast is served daily and a bar invites guests to relax with a drink at the end of the day. During summer, the staff can organise visits to a nearby wine cellar, where you will enjoy a wine-tasting session at an extra cost. Hotel Thurot is close to shops and restaurants, and is just a short walk from Dijon Musée des Beux Arts and the city hall. Secure parking is available onsite, subject to availability as there are limited spaces. Located 1.4 km from Saint-Philibert Church in Dijon, Charle's Inn offers accommodation with a kitchen. The property has city views and is 2.4 km from Dijon Congrexpo and 6 km from Zénith de Dijon. Composed of 2 bedrooms, this apartment features 1 bathroom with a shower and free toiletries. A TV is provided. Arquebuse Botanic Gardens is 700 metres from the apartment. The nearest airport is Dole - Jura Airport, 51 km from Charle's Inn. Situated in Dijon, 1.6 km from Saint-Philibert Church and 2.2 km from Dijon Congrexpo, Appartement des Grands Crus provides accommodation with amenities such as free WiFi and a flat-screen TV. The apartment is 6 km from Zénith de Dijon. The apartment comes with 1 separate bedroom and includes a kitchen with an oven, microwave and dining area. If you would like to discover the area, cycling is possible in the surroundings. Arquebuse Botanic Gardens is 800 metres from Appartement des Grands Crus. The nearest airport is Dole - Jura Airport, 51 km from the property. Offering free WiFi and garden views, Residence Le Vendome provides accommodation located in Dijon, just 1.3 km from Saint-Philibert Church. Guests staying at this apartment have access to a fully equipped kitchen. The apartment comes with a satellite flat-screen TV and 1 bedroom. The apartment offers a sun terrace. Fishing and hiking can be enjoyed nearby. Dijon Congrexpo is 2.6 km from Residence Le Vendome, while Zénith de Dijon is 6 km from the property. The nearest airport is Dole - Jura Airport, 50 km from the property. Apartment Dijon Preferred hotel ! SweetHome Dijon - Black & White is located in Dijon. This apartment is 1.3 km from Saint-Philibert Church. This apartment is equipped with 1 bedroom, a cable flat-screen TV, and a kitchen with an oven and a microwave. Dijon Congrexpo is 2.6 km from the apartment, while Zénith de Dijon is 6 km away. The nearest airport is Dole - Jura Airport, 50 km from SweetHome Dijon - Black & White. Located opposite Dijon Train Station, the ibis Dijon Gare Hotel is just a 10-minute walk from the historic city centre. It offers air-conditioned rooms equipped with a radio and free WiFi. The ibis Dijon Gare's restaurant, Le Klub, serves regional cuisine and a large wine selection. During the summer, guests can enjoy their meal on the floral terrace. A buffet breakfast composed of sweet and savoury dishes such as eggs, fruit salad, yogurts and juices is served every day. Pastries baked on site and fresh French Madeleine cakes are also on offer, as well as a hot beverage and a piece of fruit to take away. Outside of regular breakfast hours guests can also enjoy a lighter option, available from 04:00. The ibis Dijon Gare also features a modern cocktail bar. It provides a 24-hour reception. Sweet Home Dijon - Albert 1er offers accommodation in Dijon, 1.4 km from Saint-Philibert Church. The apartment is 2.7 km from Dijon Congrexpo. The apartment is fitted with 1 bedroom, a kitchen with a dining area, and 1 bathroom. A flat-screen TV with cable channels is available. Zénith de Dijon is 6 km from Sweet Home Dijon - Albert 1er, while Arquebuse Botanic Gardens is 400 metres away. The nearest airport is Dole - Jura Airport, 50 km from the property. Home Confort has well-equipped accommodation boasting free WiFi in Dijon, 1.2 km from Saint-Philibert Church and 2.5 km from Dijon Congrexpo. Some units also have a kitchen equipped with an oven. Zénith de Dijon is 6 km from the apartment. The nearest airport is Dole - Jura Airport, 50 km from Home Confort. Set 1.9 km from Dijon Congrexpo in Dijon, appartement dijon offers accommodation with a kitchen. Free WiFi is offered. This apartment with garden views features parquet floors, 2 bedrooms and 1 bathroom with a bath, shower and a hair dryer. A flat-screen TV is available. Zénith de Dijon is 3.3 km from the apartment, while Saint-Philibert Church is 3.4 km away. The nearest airport is Dole - Jura Airport, 51 km from appartement dijon. Below here is the hotels map of Vaux-Saules. Names and details of Vaux-Saules hotels can be shown on the map clicking on the prices icons.